These stories are actually updates I was sending my family and friends back home. 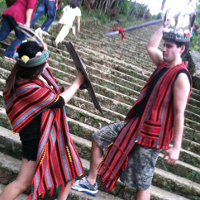 They encompass my second trip to Korea and when I lived in the Philippines. 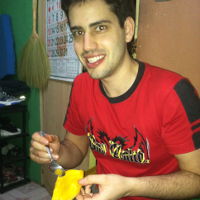 My first trip to Korea was to visit a friend in the army. During my two month stay, I met and start dating my current fiance Maxine Orio. 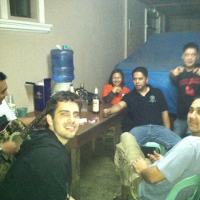 These are just a handful of the many adventures, mishaps, and cultures I encountered during my second stint overseas. 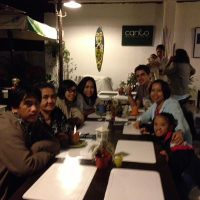 Another country and another family to say goodbye to. It's starts with a drink and ends with a spear. It was a good night before it all happened. 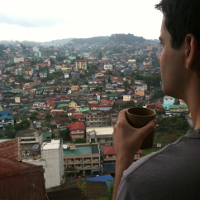 Philippines Chapter 6: Comfort Zone? What's that? I may be allergic, but I ate them til my lips were swollen! Can't beat this view, you just can't. Korea Chapter 4: Well Korea, it's been fun. 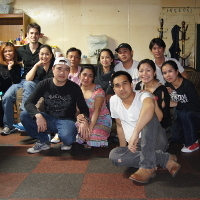 Just a handful of the people I miss from Korea. Was plotting my way back as soon as the plane left the runway. 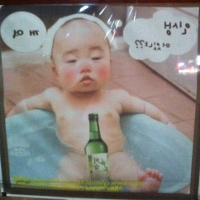 Nothing says Soju like a drunk baby in a bath. I get this look from everyone, all the time! 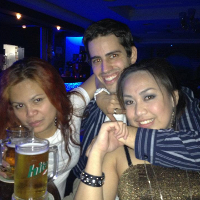 Friends and beer, no better way to describe Korea.